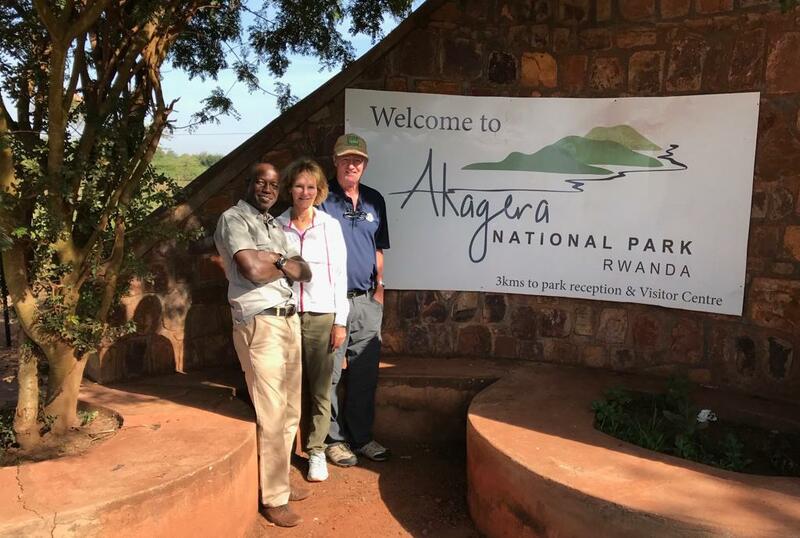 Before the actual gorilla trekking safari in Rwanda, a permit is purchased/booked and this is done as early as 18 months in advance through a Rwanda tour operator. 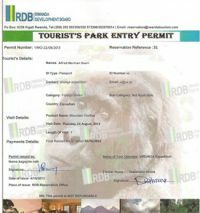 Gorilla trekking permits in Rwanda as of now cost USD1500 per person per trek. 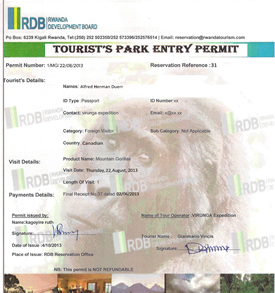 A gorilla trekking permit guarantees your trek and is a must have on the day of your trek. Children under the age of fifteen (15) are not allowed to go for gorilla trekking. Permits are sold to only those above the age of 15. Pack the right clothing for your trek. Carry a long, long trousers and shirts, hiking shoes, a hat, gloves, insect repellent, a light rain jacket and drinking water. Do some hiking training before the actual trek. 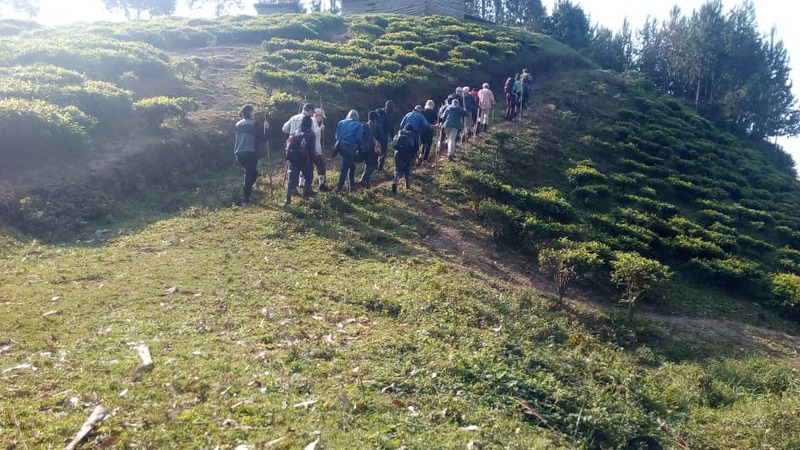 There’s need for physical fitness to hike since the gorillas live in high altitudes of up to 8000–13,000ft (1,500m-4000m above sea level), muddy and thick forested terrain. This height may cause difficulties for some visitors; however, you can pace yourself and drink plenty of water. Walking sticks are provided for each tourist. Tourists with heart and back problems are advised to see their doctors for recommendation of the activity. Trekking difficulty for each trek is impossible to state in advance, just be daring and fit. When being allocated a group to trek, try to choose a suitable group especially those on lower altitudes. Eating and drinking is prohibited in the jungle. This is done to reduce on the rate of droplets that could remain in the gorilla habitat and cause diseases, however, you may carry some snacks with you on the trek since the time spent on the trek is not predictable but keep in mind to be careful. Mountain gorillas are so susceptible to human diseases and actually even just a common cold could kill a gorilla. This means that each client who heads for a gorilla safari Rwanda should be considerate of the gorillas and avoid getting to the gorillas when they have a cold. If you report your illness before the trek then the price of your permit will be refunded. To reduce on the risk of disease spread, no litter should be left in the jungle. Carry with you each thing you come in with to the park, don’t drop anything external in to the park. Don’t make noise in the forest. When trekking the gorillas always remember to keep your voice low throughout the trek even with the excitement. Avoid beating your chest while your close to the gorillas, this is done by the gorillas when they charge to an enemy therefore doing that to them could cause them to charge. In case the gorillas charge, remember to follow the guides rules by crouching down slowly and not running from the gorilla. Do not look the gorilla directly in to the eye. Do not touch any gorilla unless otherwise. They are still wild animals and can’t be predictable. Flash photography is not allowed and therefore make sure to use cameras like film cameras of 400-800 ASA to take your Rwanda gorilla tour memory photographs. A part from Volcanoes National Park in Rwanda, Mountain Gorillas can be found in the adjacent Virunga National Park of the Democratic Republic of Congo. 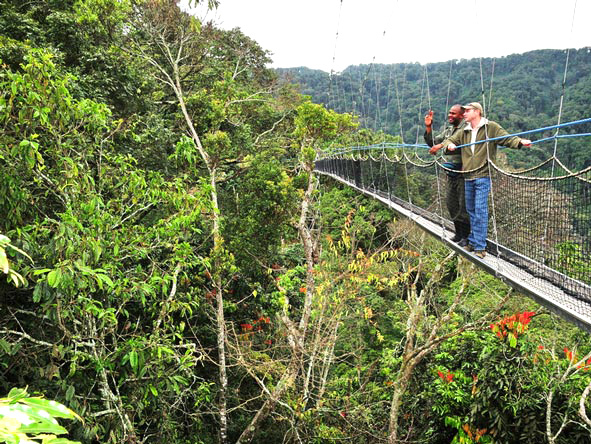 Uganda has the highest number of Mountain Gorillas found within Mgahinga Gorilla National Park and Bwindi Impenetrable National Park all in south western Uganda. 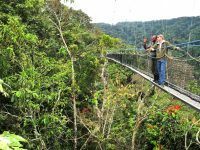 These Rwanda gorilla trekking safari rules are applicable to all of the gorilla trekking destinations and knowing them could save you the burden of regretting your trip. 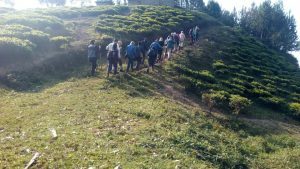 Make your own trek and those of the trekkers you meet comfortable by following the rules for the trek, always remember it’s a lifetime experience.